Eileen Woolwine | Colorado Mesa Univ. For the fall 2017 semester, Eileen Woolwine will be teaching Pharmacology l and Advanced Medical-Surg. 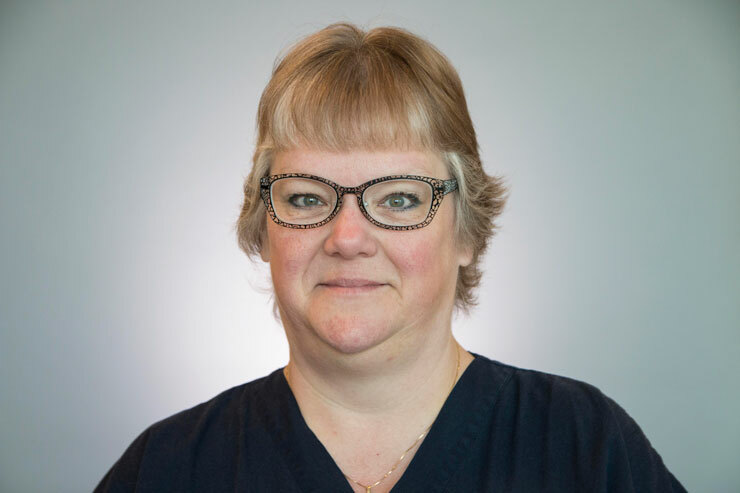 Woolwine is a critical care nurse with 14 years of experience in the ICU caring for trauma, open heart and medical/surgical patients. Woolwine started teaching clinicals right after she graduated with her AAS, she added life support classes and precepting before she finished her advanced degrees. She spent the last four years teaching PNs and ADs in a consortium in North Dakota. Woolwine is very passionate about nursing and her students. She loves to use multiple teaching styles in the classroom, incorporating technology, case studies, role playing, etc. to make the learning fun. When she is not working, which is rare, she likes to spend time in the mountains with her husband and corgi, Scooter. She's one of those crazy cat ladies, too. She is so excited to be able to help mold the next generation of nurses. She loves nursing. Her motto: "it's not a job, it's who we are!"